A truly unique camouflage pattern with awesome details for the detail oriented eyes. Comes with full KROM firepower - Best paint, shape and balance hole! 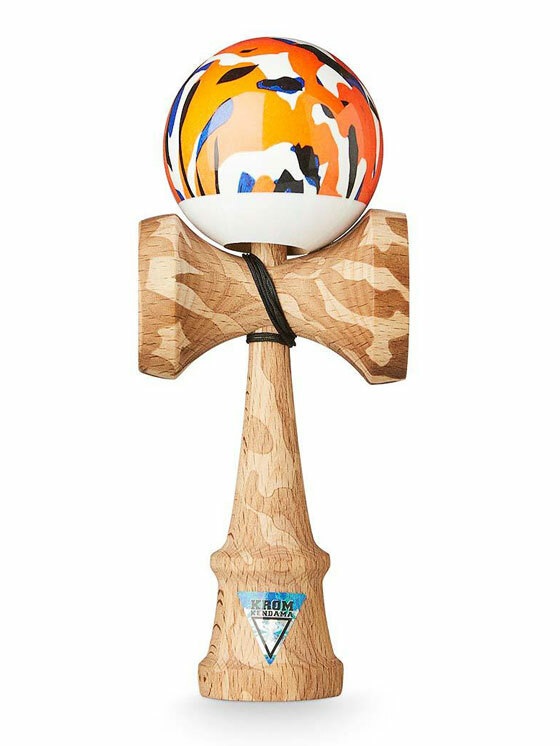 Kendama is made of Beech wood. POP shape with super sticky LOL clear tama coating and mini bearing.